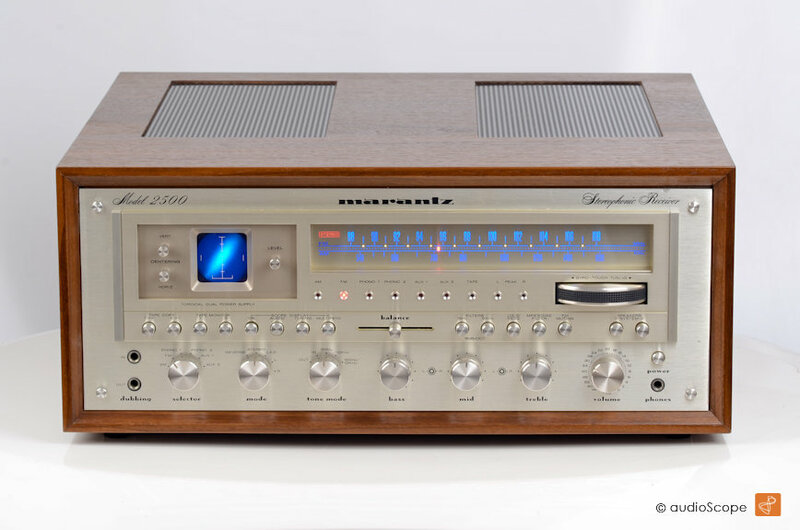 Marantz Model 2500 Receiver, wood cabinet for sale. 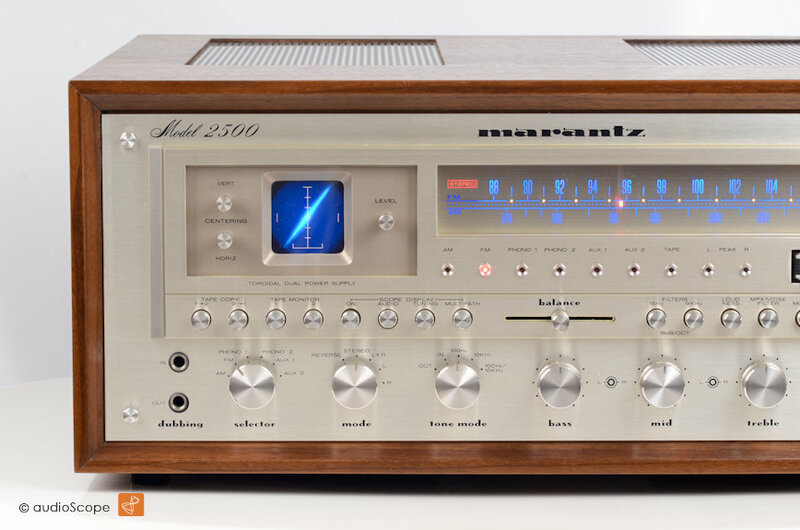 This Model 2500 is in near mint condition. 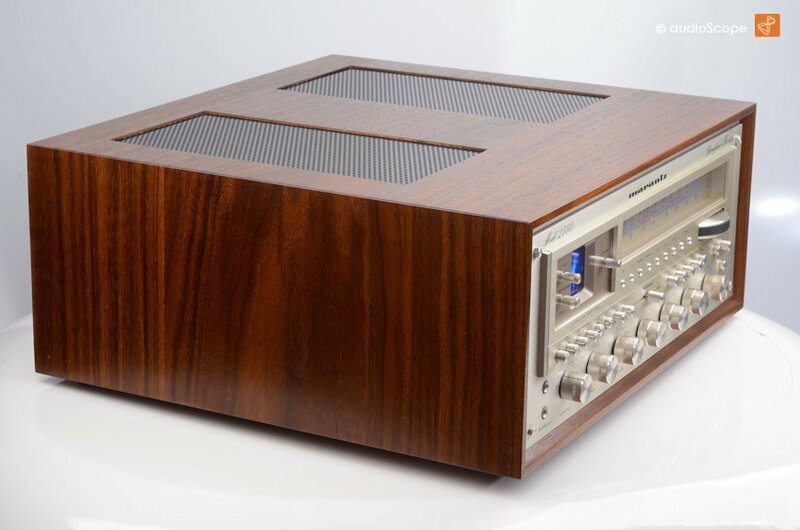 The wonderful woodcase is brand new and without any signs of wear. Technically, this unit has been completly revised and cleaned. It works like a new one and the sound is very dynamic. The tuner has been aligned and plays with excellent sensivity. No burn in on the scope´s screen. Inside, no dust at all. Everything has been cleaned to new condition, even the cooling channel and the fan. 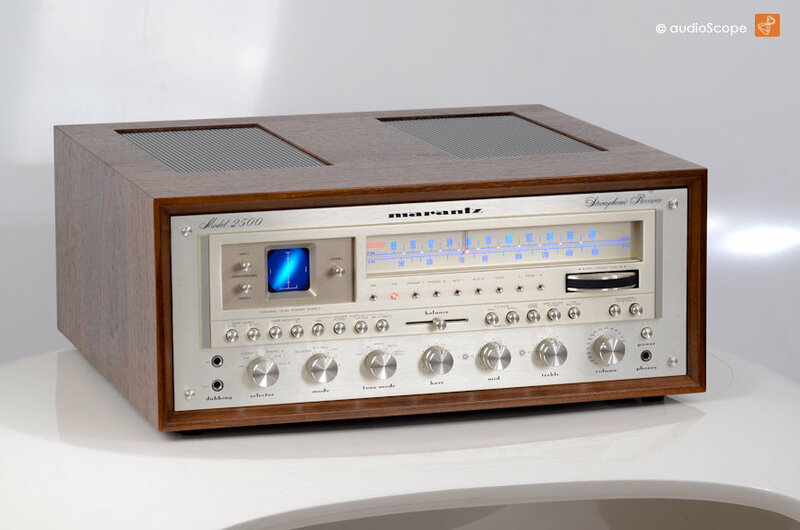 In the power section you find the original Marantz labeled NEC 2SB600 and the complementary 2SD555 output transistors. 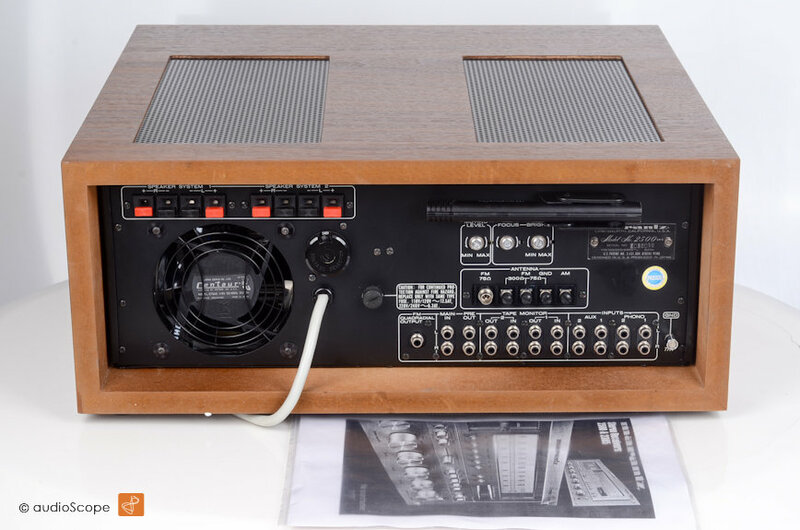 The same ones used in the legendary Technics SE-A1 power amplifier. 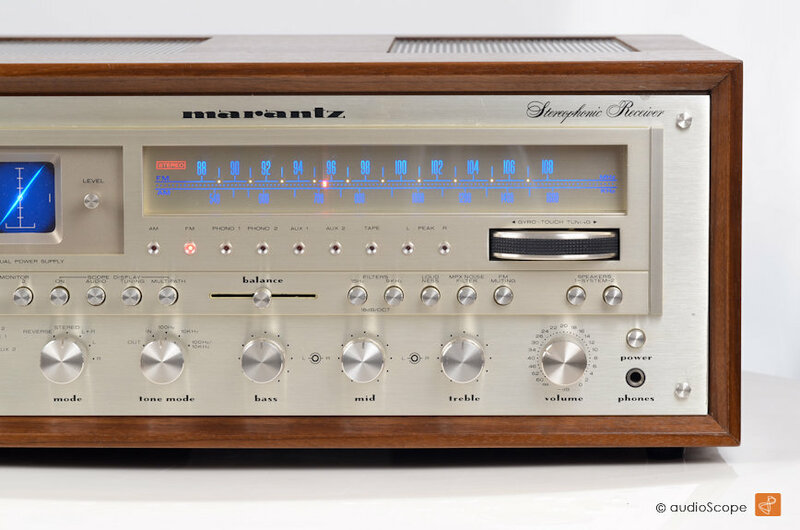 Here the chance to get a almost new condition X-Rare Marantz 2500 Receiver in near mint original condition. Only a little dent on the upper right front panel above "Receiver". A true and everlasting classic.